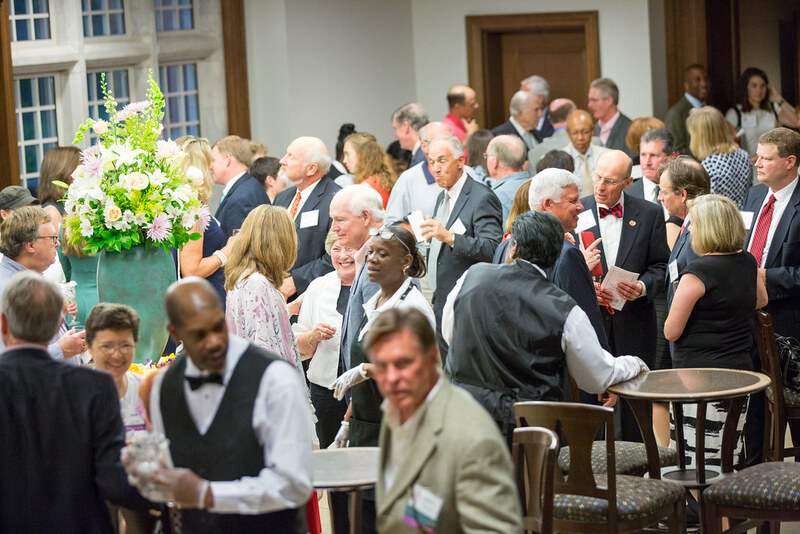 The Robins School of Business Alumni Hall of Fame award was founded to recognize alumni of University of Richmond who have made significant accomplishments in business and service. The Robins School Executive Advisory Council’s Alumni Awards Nominations Committee review nominations in consultation with the Robins School Dean and select one or more awardees each year. The nominee must have graduated from University of Richmond with an undergraduate or graduate degree with a major in accounting, business, or economics ten or more years previously. The nominee must also have graduated in a year that will be celebrating a reunion during the fiscal year. The honoree will receive the award and be inducted into the Alumni Hall of Fame during Reunion Weekend each year. The names and profiles of awardees will be featured in the business school building. Born in Richmond in 1910, E. Claiborne Robins was two when his father died. His mother, Martha Taylor Robins, struggled to run A.H. Robins Co., the family’s pharmacy business. Claiborne went to work selling newspapers in downtown Richmond before he was ten. Unable to afford room and board, Robins commuted to University of Richmond on scholarship. He graduated in 1931 and went on to earn his pharmacy degree from MCV. In Robins’ brilliant 43 year career, he guided A.H. Robins from a small family concern to a billion-dollar international corporation. Notable as his achievements in business were, even more noteworthy is the deep and sincere respect this modest gentleman earned from everyone whose life he touched. From a humble beginning to national prominence, E. Claiborne Robins’ personal history foreshadows the trajectory he made possible for University of Richmond. His is the uniquely American success story of a self-made man, possessed of bold dreams and rare personal grace, who left the world a far better place than he found it. In 1969 E. Claiborne Robins and his family, already generous benefactors to the University, forever altered its course. They gave a magnificent gift of $50 million, at that time the largest amount a living benefactor had ever given an American university. 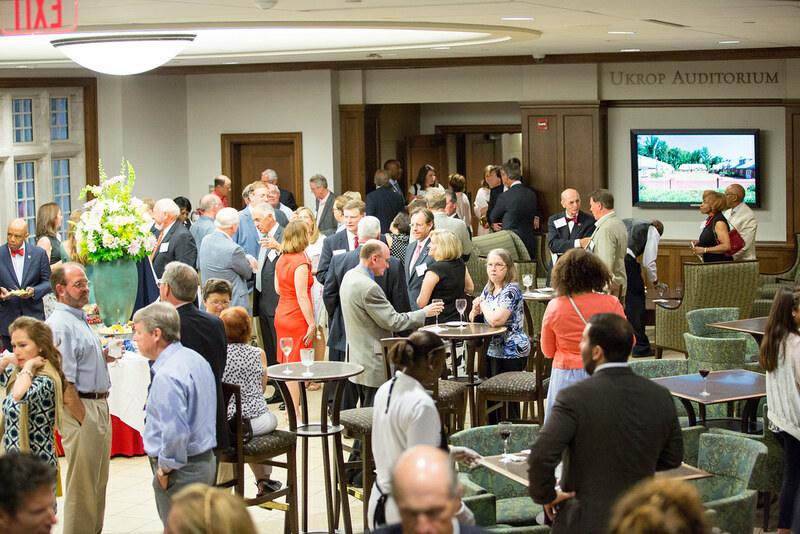 Because of their gift and others it inspired, University of Richmond has been transformed from a financially troubled local college to a nationally recognized university. Mr. Robins continued his generosity through his lifetime and through his estate when he died in 1995, and his family and the Robins Foundation continue to support the University with a total in excess of $200 million. The gifts have funded buildings on campus, endowed professorships and scholarships, athletic funds, the Lora Robins Gallery. Mr. Robins received numerous honors and awards including an honorary doctor of laws degree in 1960 and was the first recipient of the Paragon Medal, the University’s highest honor. He is an honorary charter member of Beta Gamma Sigma, the honorary national business fraternity, as well as an honorary member of Omicron Delta Kappa and Phi Beta Kappa. He was a member of the University Board of Trustees from 1951 and was trustee emeritus when he died. In 1979, the School of Business was named the E. Claiborne Robins School of Business in his honor. 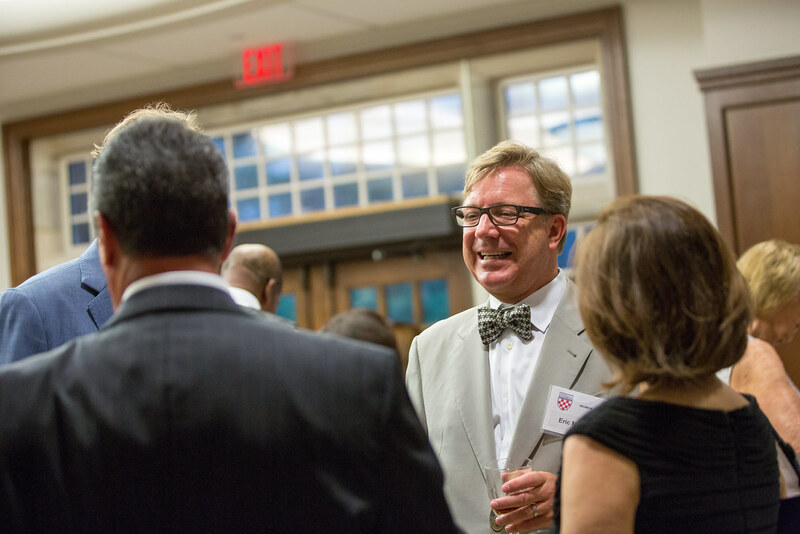 A former rector of the Board of Trustees at the University of Richmond was inducted into the Robins School Alumni Hall of Fame during the school’s recent reunion weekend. 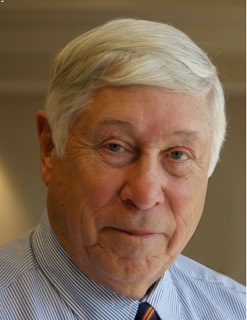 Austin Brockenbrough III is a founding partner of Lowe, Brockenbrough & Company. He serves as the firm’s managing director and chairman of the board. He graduated from the University of Richmond with a Bachelor of Science in Business Administration with a concentration in finance. He has more than 50 years of investment experience. Mel Healey is an accomplished C-suite executive officer with over 30 years of global and operational experience in companies like Procter & Gamble, Johnson & Johnson and S.C. Johnson and in countries like Brazil, Mexico, Venezuela and the US. She left P&G in 2015 after 25 years. During her tenure there, she held a number of positions of responsibility including Group President and Advisor to the Chairman and Chief Executive Officer and Group President for North America ($30 billion in sales). She has been recognized by Fortune and Forbes as one of the top most powerful women in business and by Advertising Age as one of the most influential women in Advertising. She is a graduate of the University of Richmond and has served as a University Trustee.